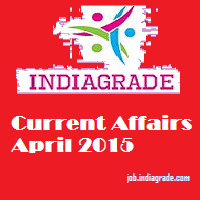 Current Affairs 1st April 2015: Here you will get the important affairs for 01.04.2015. Our INDIAGRADE JOB will daily provide the latest information for preparation of competitive exams such as IBPS, UPSC, SSC and other government, private examinations. This will help students, job seekers to easily study for upcoming written examination. Most of the organization are asked questions from day today life. Its necessary to know the daily affairs. Our job.inidagrade.com will update the current affairs in English, Hindi, Tamil, Telugu languages. You can download the current affairs by PDF format and make the most use of it. Like our social media to get latest job notification and application form. World's oldest person Misao Okawa dies at 117. Apple company was started in 1st April, 1976. Around 349 Indians evacuated by Indian Navy from strife-torn Aden city, Yeman. Mohammad Hamid Ansari, Vice President of India birthday today. Platform ticket in Railway station is increased from Rs 5 to Rs 10 today onward. 5 killed, 18 injured in building collapse in Tamil Nadu. Petrol prices cut by 49 paise a litre, diesel by Rs 1.21 from today. Pondicherry to Bangalore flight server started again. Ooty summer festival started today. In Bangalore plus two girl shot dead at school by office boy. Tollgate prices increased today onward. Bangladesh's Mustafa Kamal resigns as ICC president. ICC Batsman Ranking: AB de Villiers, Sangakkara, Amla are top three. ICC Bowler Ranking: Mitchell Starc, Imran Tahir, Saeed Ajmal two spinner and one pacer in top three. ICC ODI Ranking: Australia, India, South Africa are in top position. Srikanth enters second round of Malaysia Open. 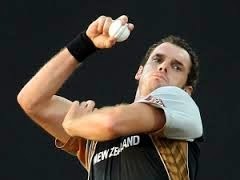 New Zealand pacer Kyle Mills announces retirement from all forms of cricket. Happy April Fool's Day today. April 1st named FOOL'S DAY, after Steve April. He was born on 1st April 1579. He did 105 businesses in his lifetime. He lost all his father;s assets, and so everyone started calling him fathers of the fools. At 19, he married as 61-year old women who divorced him after a year because of his foolishness. He used to read all kinds of fake stories in his life.